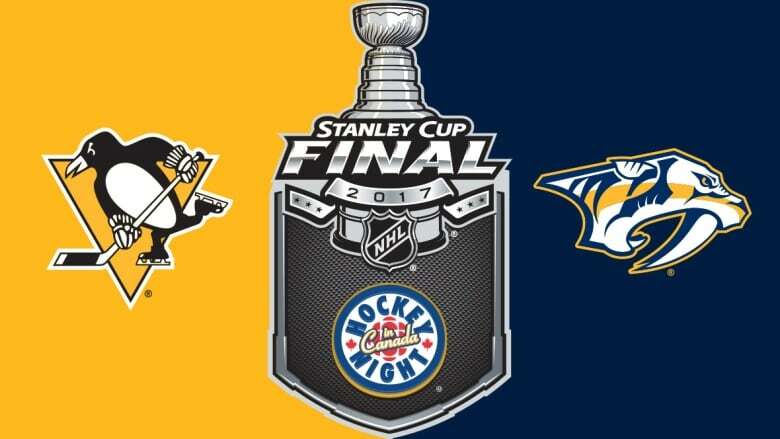 The Nashville Predators host the Pittsburgh Penguins for Game 6 of the Stanley Cup final on Hockey Night in Canada. Watch coverage on Sunday at 8 p.m. ET with our free live stream on the CBC Sports app or tune in to CBC-TV. The Nashville Predators host the Pittsburgh Penguins for Game 6 of the Stanley Cup final on Hockey Night in Canada. Watch coverage on Sunday at 8 p.m. ET with our free live stream on the CBC Sports app or tune in to CBC-TV. The Penguins lead the best-of-seven series 3-2. All Stanley Cup final games can be seen on CBC-TV, CBCSports.ca and the CBC Sports app, where they'll be streamed live for free.